Halloween is the best. The kids get lots of candy and I love seeing all of the Halloween decorations. After a while, though, the question has to be asked, What to do with leftover Halloween Candy? Most years when the kids get home from Trick or Treating, their bags are full. Overflowing in fact, which they love. But after the kids have been eating candy for a while, I prefer to find something else to do with it rather than them eating candy all day. That is when I start looking for things to do with Leftover Halloween Candy. So what to do with leftover Halloween Candy? There are a lot of things to do with leftover Halloween Candy. Some people donate leftover Halloween candy. 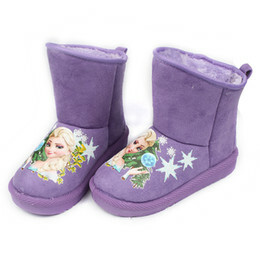 I have heard of others who leave it out for the Halloween fairy, who will come and take the extra candy and leave trinkets and fun little toys in its place. Wondering what kind of leftover Halloween Candy recipes there are? 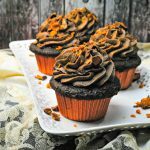 one of my favorite Leftover Halloween Candy recipes is Butterfinger Cupcakes. 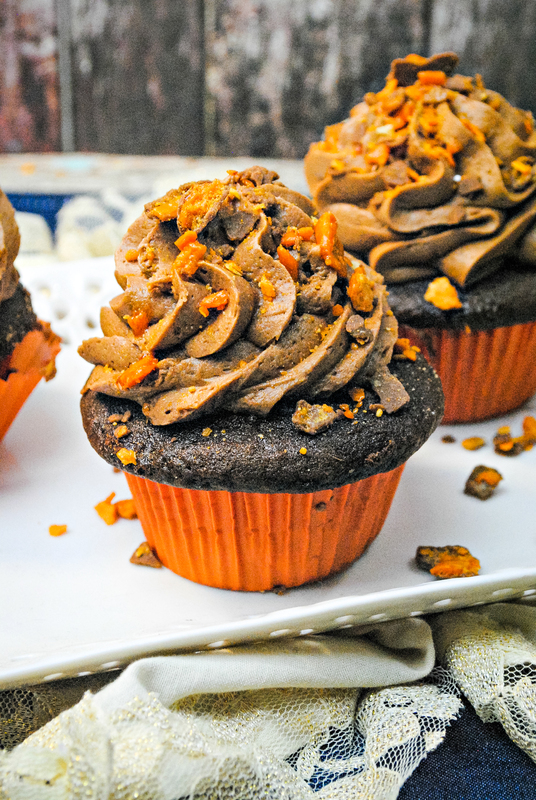 Basically any leftover Halloween Candy can be used in cupcakes. 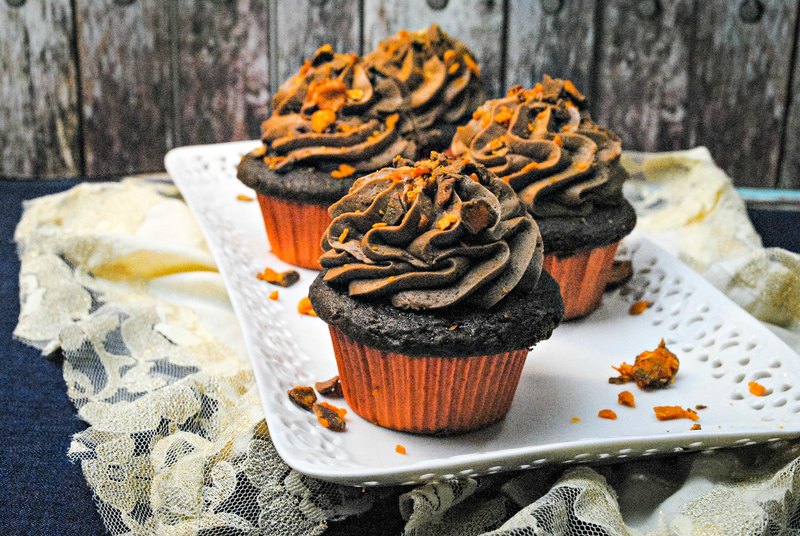 Cupcakes are basically the perfect choice for leftover Halloween Candy Recipes. Now let’s get on to the good stuff. 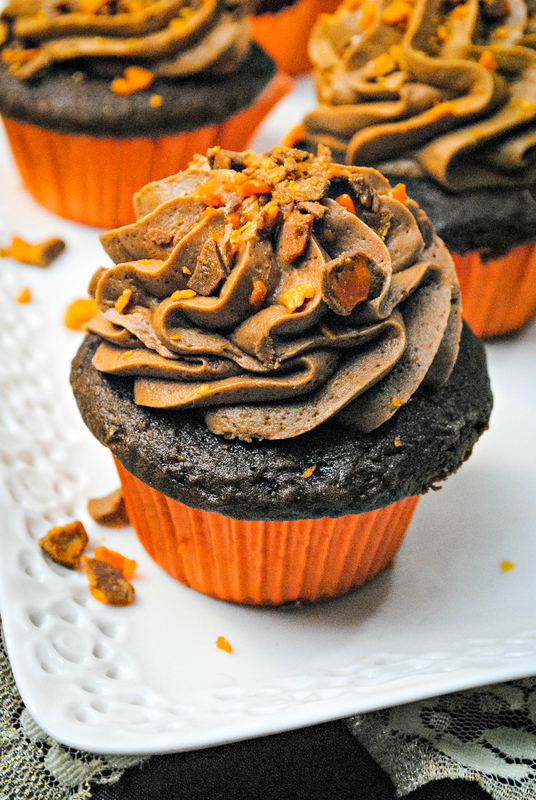 Let’s get on to this great tasting cupcake that will make you wish you had a lot more leftover Halloween candy. Add in all ingredients into a standing mixer and mix until combined and stiff peaks form. If powder sugar pebbles form, add in 1-2 more tbsp heavy cream, if thin add in 1/2 C powder sugar. Mix until stiff. You want it to be stiff enough that it doesn’t fall off a spoon. After the cupcakes are cool, and the the frosting is made, frost the cupcakes. 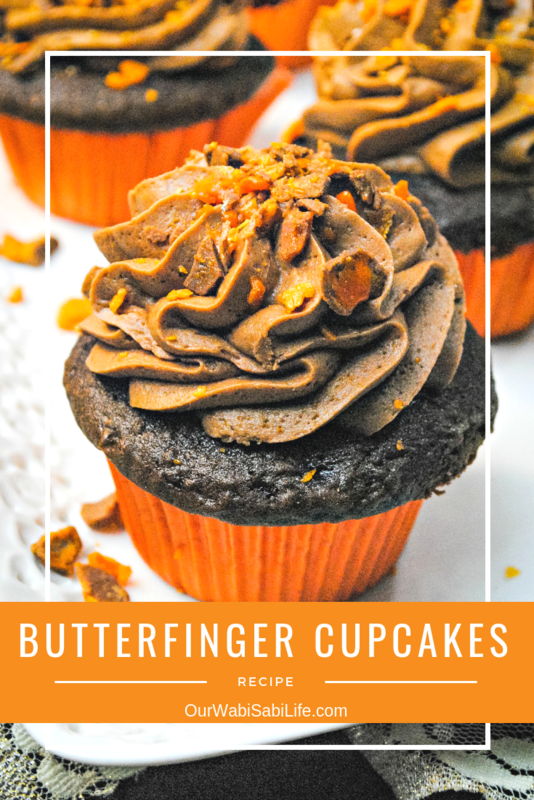 Sprinkle the Butterfingers over the cupcakes. Mix until stiff. You want it to be stiff enough that it doesn't fall off a spoon.